You already know that innovation and technology are the most prominent qualities found in Silicon Valley, but now you can also associate “philanthropy” with the land of start-ups. Earlier this month, Salesforce.com founder Marc Benioff teamed up with Tipping Point Community, one of the largest poverty-fighting organizations in the Bay Area. Together, Benioff and Tipping Point hope to rally their successful neighbors in Silicon Valley in order to raise vital funds for local human service groups. According to Philanthropy News Digest, “On Friday, [March 7] Salesforce.com announced a partnership with Tipping Point Community to launch SF Gives, an initiative to build a coalition of twenty companies willing to commit at least $500,000 each to the fight against poverty.” SF Gives will hold major Silicon Valley companies accountable for their philanthropic efforts, and hopes to inspire a renewed culture of corporate philanthropy there. Reportedly, Benioff and Tipping Point have already raised more than $5 million through SF Gives from a range of local firms including LinkedIn, Google, Zynga, PopSugar, Jawbone, and Box. Benioff, a native San Franciscan, is certainly no stranger to philanthropic work. 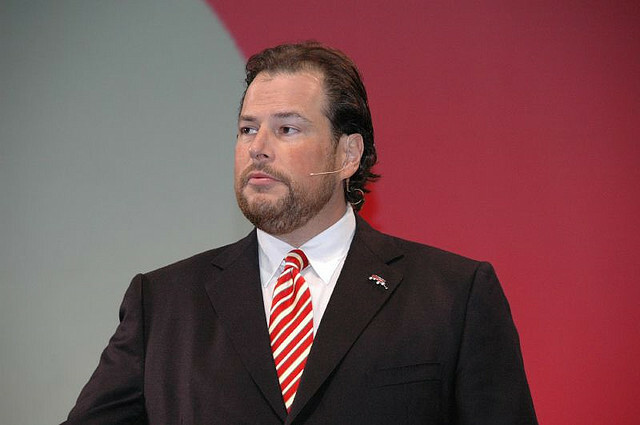 He and his wife Lynne made a $100 million gift to the UCSF Benioff Children’s Hospital in 2010, and Salesforce.com has pledged to donate 1 percent of its equity, 1 percent of its employees’ time, and 1 percent of its products to charity. These efforts have elevated Benioff in the realm of corporate philanthropy, and have made him a model for philanthropic giving in the Bay Area. Learn more about the companies that have donated funds, and about Benioff’s collaboration with Tipping Point by visiting the SF Gives project page.